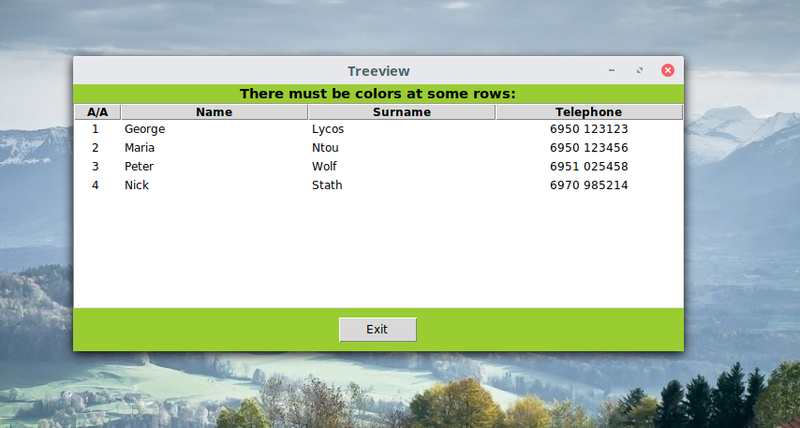 and they also have problem with Treeview. I am using arch with cinnamon and I tried it also with xfce (in a virtualbox). Is there anything to do to fix it? The problem may be Python, but it's more likely to be tk as that does the rendering. Also, you have two imports. One imports the wildcard * and the other imports a specific name. Since you have the wildcard first doesn't that make the specific name redundant? Hey, make sure you have the *exact* same environment theme too between Mint and Arch. If you change your Arch theme do you get different results? To be honest I thought that and I changed some options of my theme. But I don't have the same theme and that's the reason why I tried it also with arch xfce (with a Virtualbox). But it can be a theme problem..
Hi, I've (sort of) found a work-around. 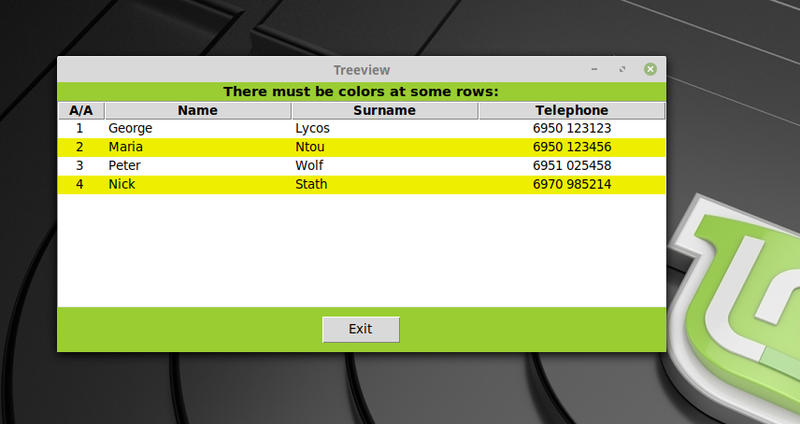 After comparing files in (Arch)/usr/lib/tk8.6/ with their Linux Mint counterparts in (MINT)/usr/share/tcltk/tk8.6/ (with graphical diff tool meld) I found that TreeView widget colors do work as expected when /usr/lib/tk8.6/ttk/defaults.tcl is replaced with the Ubuntu version. Of course this is just an ugly work-around until the Arch version is fixed. Unfortunately I don't have enough time nor TCL skills to track the problem further down but I've sent an email to the Arch package maintainer. You are right! Thank you. It works again!